Diversity: something the tech world has been talking about for decades. There are panels at conferences, books, podcasts and so much more dedicated to the topic. And yet, the numbers are still quite discouraging. Marginalized groups – namely women and minorities – are still severely underrepresented in tech. Why is this? And how can we fix it? If you look at some of the top companies in Silicon Valley, they are overwhelmingly male and overwhelmingly white (with a vast majority of companies having a workforce that is less than 10% black and/or Latinx). And even mixed-gender (or unconfirmed gender) teams only raised 19% of that $85 billion figure. When it comes to the racial disparities in funding, there’s a wide gap in the number of black and Latinx investment professionals who work at VC funds – the number was as low as 3% in 2016. Women in STEM professions make, on average, $16,000 less per year than their male counterparts. Or, if you are black or Latinx and working in a STEM profession, you might be making $14,000 less than your white coworker. 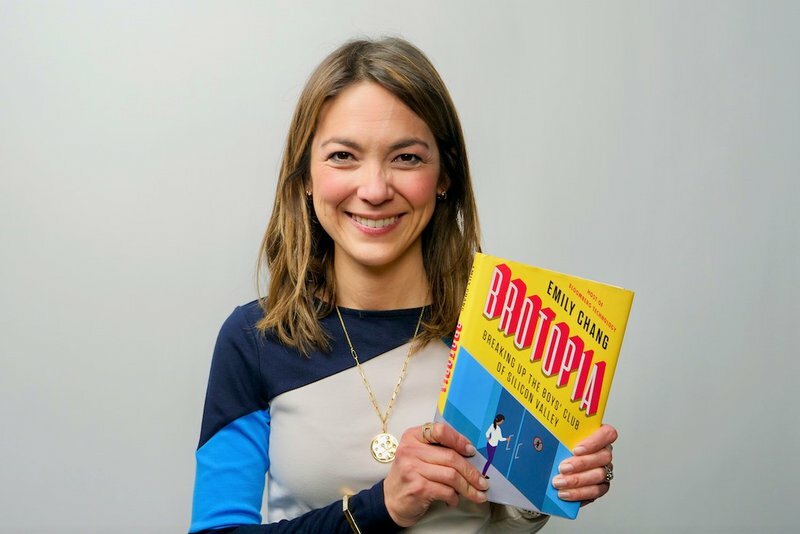 If we look at Emily Chang’s Brotopia, an insightful and well-researched book that chronicles the major gender disparities in Silicon Valley, it wasn’t always this way. There were several women pioneers in technology at this point. After all, the first line of computer code was written by Ada Lovelace in the 1840s. But then there was a shift. “Just as computers began to head into the mainstream, women’s participation in the field started to plummet,” Chang writes. In the last decade or so, the percentage of women earning computer science degrees has remained stable around 22%. Of course, there are a plethora of factors at play here. It goes beyond sexism or racism. There are microaggressions happening all the time in tech company offices – what’s frustrating about this is that it can sometimes be hard to pinpoint or call out. For example, female engineers face 35% more rejections of their code. The lack of role models can be another factor. 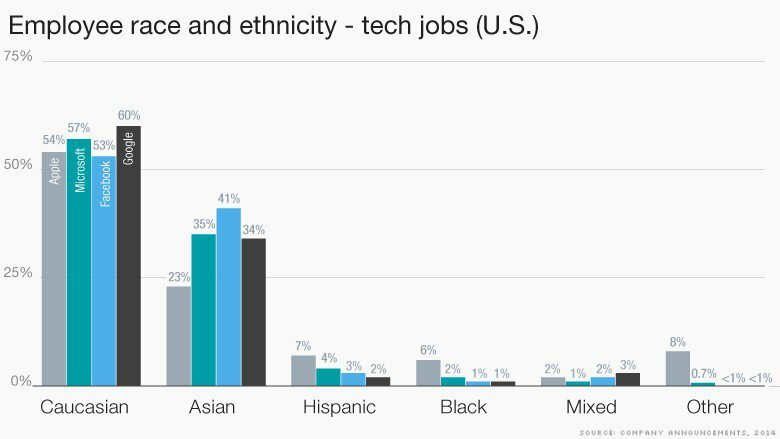 There are very, very few women and minorities in the higher ranks of tech companies. It can also be chalked up internalized doubt. Many marginalized people, if not all in some way or another, are socialized and educated in subtle ways throughout their lives to doubt themselves (thankfully, this is being tackled by organizations such as Endeavor – check it out!). The phenomenon disproportionately affects women and minorities, but in a business culture that encourages people to sell ideas and inflate their worth, this is problematic. There are, of course, many other tangible and intangible factors as well. A person’s upbringing can greatly impact the way they perceive their career path. But with all of this said, what would the tech world look like if it were more diverse? Beyond the obvious “it’s the right thing to do” mindset of having more diversity and representation in the tech world, it also just makes good business sense. And the bottom quartile of these dimensions? They are statistically less likely to achieve these returns. On top of that, the European Commission calculates that through the further inclusion of women working in tech, the EU’s GDP could see an annual boost of €16 billion. The numbers are even more incredible in the US. In Intel’s Decoding Diversity report, they concluded, as we’ve already seen, that diversity leads to higher revenues, profits and market value. 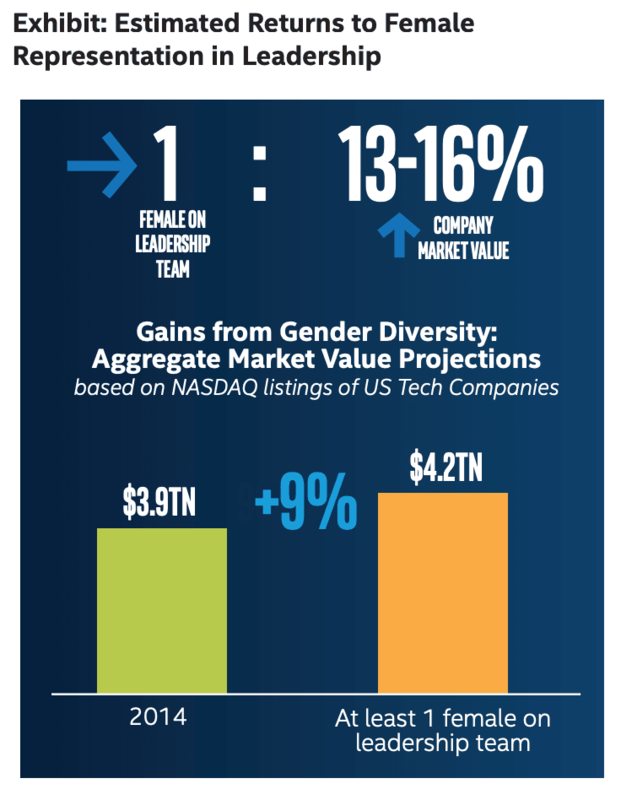 But it goes even further: by improving ethnic and gender diversity and inclusion in the US tech workforce, it could create between $470 billion and $570 billion in new value to the industry. So, why exactly does diversity bring better results? Having diversity in how your teams think and solve problems yields higher success. Better representation of marginalized groups is crucial in coming up with the right solutions to challenges, creative thinking and overall customer success. When team members are too alike, things can get missed or overlooked. Let's put it this way: diverse teams win more often and more consistently. On top of that, having more diverse teams means that your company is serving all customers, not just themselves. The world is filled with people from a plethora of backgrounds and perspectives. In order to create and build a business that serves everyone, teams need to hear from those who have a variety of experiences. There are already some companies and government organizations that are pushing for more representation in the tech industry – but it needs to go further (and not just result in simple quotas). and hiring more women venture capitalists. The same should be done for all marginalized groups, of course. In Silicon Valley, failure has been something that is celebrated as it can help you learn (and eventually succeed). However, marginalized groups have been failed by the tech industry for far too long. Data has proven time and time again that a more diverse workforce is not only more efficient and profitable, but also offers companies the chance to hear perspectives that were not previously present. It’s crucial for companies to have more intersectional voices heard across the tech industry, especially in leadership functions, and to encourage more diversity to ensure that they are creating solutions and technology for the modern world: one that is filled with people from different walks of life. Are we going to solve the issue with this single blog post? Of course not. We can speak at diversity panels until our faces turn blue, but until those in the higher echelons of the tech world encourage and drive the conversation – and take meaningful actions for change – things are going to remain the status quo.